A young couple, Swanilda & Franz, are going to be married but Franz spots a lovely young lady up in Dr. Coppelius’s balcony. 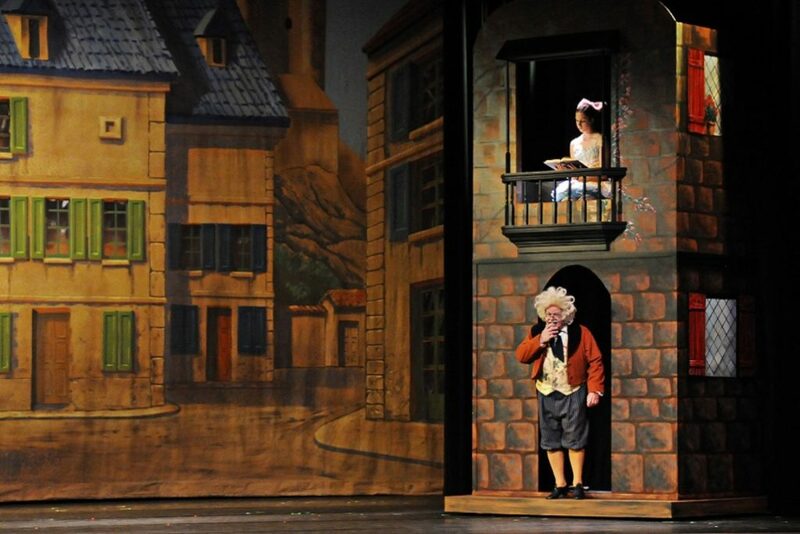 Swanilda catches Franz blowing kisses at the girl in the balcony and havoc breaks loose. Children will laugh at Dr. Coppelius, the town’s mysterious citizen who dabbles in alchemy and magic. The mechanical dolls in Act II will delight and all are entertained by the villagers at the wedding in Act III.